How to clean the inside of the washing machine? Cleaning washing machine at home is one of those things we do not think about very often, and even less often included in the list of cleaning items at home. And how else do we put the dirty clothes and detergents inside and in an hour or two we take the laundry clean and fragrant to freshness. We think we should pay special attention to this device when there is a technical problem or an unpleasant odor from the drum. However, if we often spend a little time cleaning the washing machine, we can prevent the appearance of mold and unpleasant smell and keep the machine longer. Put the soda in the bowl and add the water. Stir until a homogeneous mixture is obtained. Pour the lemon slurry into the detergent dispenser compartment of the washing machine. Take the vinegar and pour it into the drum of the machine. Choose a long wash cycle and the highest possible temperature. Close the door and run the washing machine. When cleaning washing machine, soda and vinegar are doing miracles - they remove limestone deposits and molds. 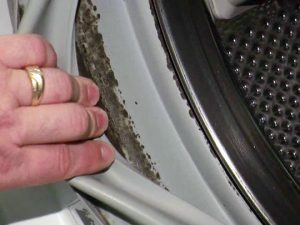 Washing the rubber seal: Most often the cause of the unpleasant odor in the washing machine is due to residual stubborn water in the door seal. Sometimes even molds are molded in the tire. Add a little dishwashing detergent to a hot water bowl. 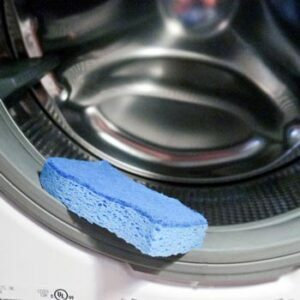 Using a sponge, clean the rubber sealing of the washing machine. Rinse with a solution of water and vinegar in a 1: 1 ratio. Removing odors with baking soda: Sometimes, even after washing, there is a residual unpleasant odor in the washing machine seal. Make a thick paste of bread and water soda and smear the tire. Allow the mixture to stand for several hours and clean with a damp sponge. 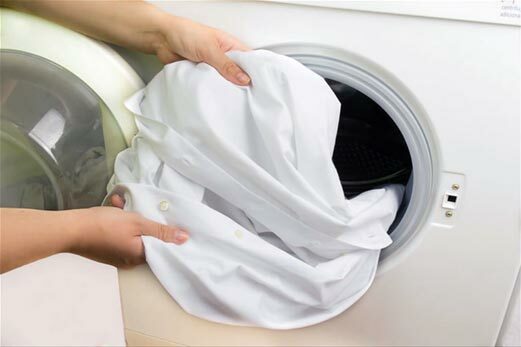 Adding vinegar to the laundry: If the smell is weak, add a coffee cup of white distilled vinegar to your clothes. Vinegar will remove odor from both the laundry and the washing machine. Drying the seal: after each wash, dry the tire with a dry, clean cloth to avoid molding. Leave the washing machine door open: After each wash, leave the machine door open for half an hour. The last remaining water will evaporate and there will be no unpleasant smell. Take out the laundry immediately: Do not leave wet clothes staying too long in the drum - any kind of moisture favors mold and bad smells. If you prefer to use night-time laundry, try to stretch your clothes as soon as you get in the morning. The other option is if the machine allows you to set it to turn on in the last hours of the night mode. So, the clothes will stay in less time. These washing methods will help you handle limestone deposits, mold and odor of stale. Remember to occasionally clean the machine externally with soap and water. If you need any help with the maintenance of your washing machine or the situation requires our Domestic Appliance Repairs London service, don't hesitate to contact us. Our trained, experienced and certified technicians will be happy to help you at affordable price.